Bonhoeffer chose to go back to his home country (booking passage on what would be the last passenger steamer to cross the Atlantic) even though he knew it was dangerous. He had hope in the gospel. He believed that after the war he could help reconstruct the Christian life in Germany, but only if he shared in the sufferings of his brothers and sisters in Germany. Bonhoeffer was ultimately hanged in a German concentration camp in April 9 1945, two weeks before the camp was liberated by US Infantry divisions. 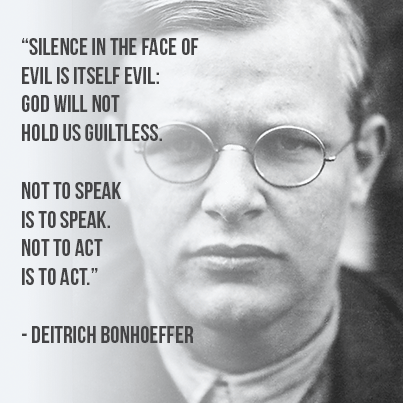 Dietrich Bonhoeffer chose danger over safety; solidarity over separation; and persecution over personal comfort. Did he fail in his desire to participate in the rebuilding of the church in Germany because he was executed? Not in the least.